You may have heard about gluten before…it makes the news occasionally, and you may have seen a “gluten-free” label on food packages. Still, not very many people know what gluten really is, and even fewer know how it affects the baking process. Gluten is a protein that is found in some grains, in vary degrees. Wheat has a very high gluten content, while rice has no gluten at all. Gluten is very important in baking, as it provides structure for the dough. However, care has to be taken to develop the gluten in an appropriate way for different types of baking. Gluten is formed from two proteins that join together when they are moistened. It is an elastic substance, and it can be make more elastic by stirring and stretching. When you knead yeast dough, you are developing tough, elastic gluten strands(this is why properly kneaded bread dough will bounce back when you poke it…that’s the gluten at work). Yeast breads benefit greatly from strong gluten formation. Yeast doughs rise when the yeast ferments and forms air bubbles. The stretchy bread dough captures these air bubbles, and that’s what makes the dough rise. Lots and lots of little air bubbles lift the dough. If yeast dough is not properly kneaded, it will not be stretchy enough to expand with the yeast (the gluten strands will just pop because they won’t be strong enough to hold the air bubbles), and the dough will not rise properly. So, when you’re making yeast dough, it’s important to mix and knead it well. Breads and other baked goods that are leavened with baking powder or baking soda do not need very much gluten development. In fact, too much gluten development in these types of doughs and batters will result in a tough and chewy end product. This is why most muffin recipes instruct you to stir only until the ingredients are moistened. Non-yeast baked goods also use fat to help retard gluten development. Fat coats the strands of gluten, keeping them from forming into long, elastic strands, which produces a tender baked good. This is why muffins, scones, and biscuits tend to have a much higher fat content than do yeast doughs, and it’s why low-fat muffins tend to be quite chewy. Interestingly, shortening got its name because of the way it affects gluten…butter, lard, Crisco, and margarine all shorten the gluten strands, and thus are calling shortening. You might be wondering by now why all of this is important. If you come away from this post with nothing else, just remember that it’s almost always very important to mix and knead yeast doughs thoroughly(there are a few exceptions), and that it’s equally as important to have a very gentle hand with the mixing when you are making breads that are leavened with baking soda or baking powder. Lots of stirring/kneading = good for yeast bread. Lots of stirring/kneading = bad for almost every other kind of bread. You can work off your frustrations and stress by kneading your yeasty doughs with great energy, but for everything else, keep your mixing to a minimum. 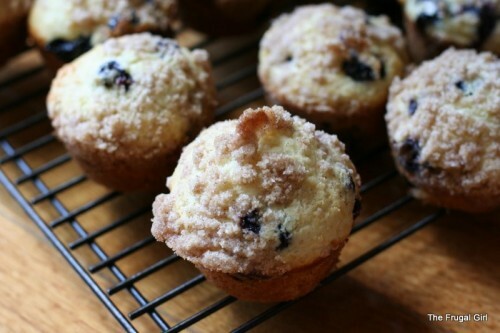 Your muffins will thank you. Okay, I think I understand a little about gluten. But I still have one nagging question: Why has gluten been made out to be such a bad guy? Are all the muffins tired of people wanting ‘fluffy bread’. Have the gluted hindered baked goods finally banded together to take over the bakery section of the grocery store? Personally, after reading your short essay on gluten, I believe the breads are the better way to go. Want it sweet? Make some of that grape jelly and put on it . . .
First off, what yummy looking bread kristen!! Second, have you given this bread recipe?? Third, how i the world did you get such think slices?? Tis true. Nothing worse than a chewy muffin. Does it have to do with they type of flour as well? I usually just use all purpose for everything. Should I invest in something else? What about cake? Stephanie, I have the photos for that recipe all ready to go…I just need time to post it. I think I might get it up for next week’s baking post. HipToBeMe, cake flour is a low-gluten flour, which is why it’s often used when you need a really tender end product. However, it’s a lot more expensive than regular flour, so I use all-purpose for pretty much all of my baking needs. As long as you are careful to avoid overmixing, all purpose flour should produce a fairly tender baked good. Angie, gluten isn’t necessarily bad for most people. However, some people can’t tolerate gluten (sort of like how some people can’t tolerate lactose in milk), so they need gluten free foods. There are some people who believe that gluten is bad for everyone just like there are some people who believe that milk is bad for everyone, not just those who are lactose-intolerant. I’m obviously not from that crowd, though! All of us here eat gluten-containing foods on a regular basis with no ill effects. If you’ve been eating foods made with wheat and have not experienced any problems, gluten is quite likely not a problem for you. We are looking for a rental home now (yay, finally sold our house and we’re saying bye-bye to our enormous mortgage!) and one of my priorities is kitchen counter tops that are NOT tile. I currently have tile counter tops and I can’t roll out dough/knead dough etc. on those nasty tiles and old grout. So we try and use the kitchen table but that doesn’t work too well (it’s not at the right height). I can’t wait to get a plain old laminate counter top so that I can release my frustrations, as you said, on to a big old hunk of bread dough! I have a friend whose son suffers from celiac disease and has to be on a gluten-free diet. It’s a pretty serious condition and causes a lot of suffering and quality-of-life issues. He’s only 3.5 (diagnosed when he was 18 months or so) and he’ll have to deal with it his whole life. It’s tough work for the family cook, too, makes eating out quite difficult, and it’s sad when he can’t have birthday cake with all the other kids, etc. So that’s why you see “gluten-free” plastered all over labels now, for some people it’s almost a matter of life and death. HipToBeMe: adding to what Our Frugal Girl said, different flours have different amounts of gluten. Bread flours have the most, all purpose in the middle, cake flours the least. Here’s another thing: there are regional differences as well. The U.S. South is generally biscuit country, so all purpose flour there has a less gluten. The U.S. North is bread country, so all purporse flour has a bit more gluten. This difference is more prounounced in regional brands (such as King Arthur and White Lily) and almost nonexistent in the national brands (Pillsbury and Gold Medal). I hear also that bleached flour has less gluten, but I haven’t been able to confirm this from a truly reliable source. If you want to know more than any reasonable person should on the topic, read Harold McGee’s “On Food and Cooking” on the subject. And how do you get slices that thin? William, I think Cook’s has said that unbleached has more gluten. They’re pretty reliable. I did forget to mention bread flour. I haven’t found it to be necessary, and I like the simplicity of having just one kind of white flour around. I also forgot to answer the question about thin slices! A very sharp, serrated bread knife is my secret. If you have a really sharp knife, you can use a light sawing motion with very little downward pressure. Also, when I want thin slices, I let the bread cool down completely. 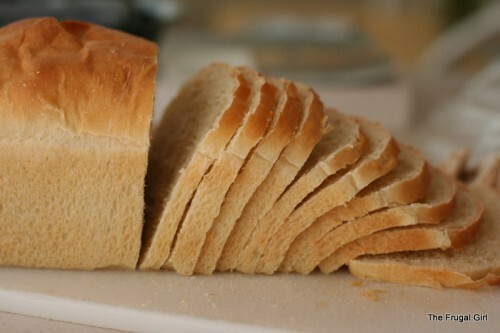 Fresh bread is really hard to cut, and it’s especially hard to get thin slices from warm bread. If we’re just eating bread open faced, like with jam and butter for lunch, I cut much thicker slices. When I cut the loaf in the picture I was making sandwiches that have three layers of bread, so I wanted to use thinner slices. I sometimes add wheat gluten to my sandwich bread to give in improved shape and texture. @Frugal Liz – you beat me to it! Another way to enhance what gluten you have is to make a sponge – water, flour, yeast – and let it sit for an hour or so. Kristen, you’ve mentioned that your house got all beer-smelling when you tried this. I’ve been experimenting around with my bread-making, and I finally duplicated the strong beer smell (just wanted to see where it was coming from, since I don’t usually have that issue!). It resulted from a bit too much yeast in the sponge (1 tsp for 2 c. of water, instead of 1/2 tsp), combined with a warm, moist day. I love this post on gluten! If you get a chance, check out “The Science of Cooking” – it gives great insights into other more scientific areas of cooking, like why you can’t just halve the time to bake a 1/2″ thick cake vs. a 1″ thick cake. I usually use the sponge method myself, unless I’m pressed for time. I let my sponge sit for 4 hours and I find that it really does result in better tasting bread! My bread baking cookbook is pretty snobby about that sort of stuff. :P It’s called, “The Bread Bible” and it’s pretty awesome, despite the occasional snobbery. I was looking forward to this post. It is amazing how something so simple, and hidden, makes such a big difference in baked goods. We’ve been on the search for gluten-free baked goods that have texture similar to those with gluten. It hasn’t been easy but it has been fun. Here is a site (http://www.csaceliacs.org/gluten_grains.php) with Grains and Flours that contain gluten. For those without gluten intolerance keep in mind this site is for Celiacs so it is a bit bias that way but I like how it shows the many different types of flour that everyone might not know about. I want to bake a more airy bread. I love breads with holes, not the “batter whipped” smooth texture you find in store bought white bread. Any suggestions? Have you tried the Artisan bread in 5 minutes a day method? That produces a more hole-y bread. I’ve followed your blog for several years now and I’m finally ready (and need to) bake bread. 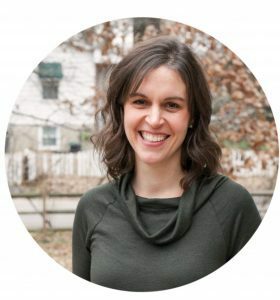 Before I was in grad school, and it left little time to prepare things myself, but now, my daughter has developed some pretty extensive food allergies (dairy and soy top the list!) and I find almost all of the commercial breads have some version of soy in it (why, I do not know!). Soooo…I’ve armed myself with several bread making cookbooks and I’m ready to dive in. My question is, where do you purchase your yeast? Are the little packets at the grocery store good enough, or do you have a wholesale source that you purchase from? Do you save a little of your dough to start the next batch (as some of the cookbooks describe this practice, it seems like it’s for people baking bread EVERY day, which I hope not to do….). Thanks so much for your help and have a great weekend! Definitely buy your yeast in bulk, either from a warehouse club or online. Those little packets are CRAZY expensive.